the 66th Session of the General Assembly. I have no doubt that, under your able leadership, the work of the 66th Session would progress to a successful conclusion. I should also like to acknowledge the excellent work done by your predecessor, His Excellency Mr. Joseph Diess, who ably guided the affairs of the 65th Session with consummate skill and commitment. I must also seize the opportunity to extend my warmest felicitations to Secretary-General, Mr. Ban Ki-Moon, on his well-deserved re-election, a tribute to his leadership and vision. Secretary-General Ban Ki-Moon deserves our appreciation for the good work he is doing on our behalf. I welcome the newest member of our organization – South Sudan. I am confident South Sudan will bring unique perspective to the work of the United Nations and enrich our collective experience. Mr. President, despite our initial optimism, the peace dividend we had hoped would accrue following the end of the Cold War is yet to materialize. On the contrary, the world of the 21st century in which we live is becoming ever more precarious, unpredictable and certainly more dangerous perhaps more than any other time in history. The increasing use of terror in various regions of the world as a form of political action poses serious threat to international peace and security. We must win the war against terrorism because it infringes on the fundamental rights of all peoples to life and to live in safety from fear. 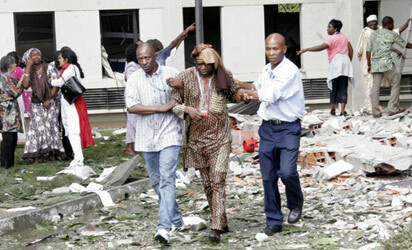 Over the past few months, we in Nigeria have faced an upsurge of terrorist attacks in parts of our country. Only recently, the UN Building in Abuja housing several UN Agencies was the target of an atrocious terrorist attack which left several dead. On behalf of the Government and people of Nigeria, I like to convey my sincere condolences to the families of the victims and to the entire UN family for this barbaric and heinous attack against those who have dedicated their lives to helping others. As the United States and the rest of the world commemorate the 10th anniversary of 9/11, we are reminded of the international dimension of terrorism and the imperative of a concerted global response to combat this scourge. Mr. President, for us in Nigeria, terrorist acts, rather than intimidate, will only help to strengthen our resolve to develop appropriate national strategies and collaborate even more closely with the international community in the fight against this menace. As part of Nigeria’s efforts to fight terrorism, I signed into law the Terrorism (Prevention) Bill 2011 and the Anti-Money Laundering (Prohibition) Amendment Act on the 3rd of June this year. The new laws not only outlined measures for the prevention and combating of acts of terrorism, but also prohibit the financing of terrorism and laundering of the proceeds of crime. Nigeria will continue to work with the UN and other partners in this global fight. To this end, Nigeria is working closely with the United Nations Counter Terrorism Implementation Task Force (CTITF), the Counter Terrorism Executive Directorate (CTED), as well as relevant international bodies and friendly countries to sharpen our response mechanisms. In this connection, the UN Counter Terrorism Implementation Task force is launching its first project in Abuja in November 2011, aimed at conflict prevention and countering the appeal of terrorism to youth through education and dialogue. In addition, Nigeria is a member of the new global body, the Global Counter-Terrorism Forum (GCTF), initiated to galvanize and pull our efforts together to fight the scourge in all its ramifications. We pledge to continue to work with all stakeholders, as we enlarge and intensify our partnerships. When I stood before this Assembly last year, I gave a solemn pledge that Nigeria will conduct free and credible elections in the second quarter of this year. I am glad to report that we, indeed, conducted what have been adjudged credible and transparent general elections in April 2011. Let me take this opportunity to thank the United Nations and all other organisations and nations that assisted us to achieve that feat. The elections are now behind us and the Government which I head is well on course to implement our programmes of Transformation, a strategic plan for the delivery of the dividends of democracy to citizens, and for preparing our country for the challenges of the future. Indeed, all across my country, there is a renewed sense of optimism and self-belief in our ability to re-create a new Nigeria on the principles of personal freedoms, democracy, good governance and rule of law. Mr. President, permit me to identify with the theme of this year’s debate of engaging the role of mediation in the peaceful resolution of conflicts in the world. You will recall that Nigeria has been in the fore front of the campaign to promote this theme when, as the President of the Security Council in July 2010, my country adopted the use of Preventive Diplomacy to resolve armed conflicts across the world. This theme is apt and could not have come at a better time when armed conflicts are increasingly taking a greater part of the time and resources of the United Nations. For too long, the international community has focused too little attention on mediation and preventive diplomacy and far too much effort and resources on military aspects of peace and security. Yet, measures to address the root cause of conflict, including dialogue and mediation, can be far more effective as means to achieving sustainable peace and stability. I believe that cultivating peace and fulfilling the aims of Chapter V1 of the UN Charter require early identification and appropriate intervention in conflict situations in order to build confidence and trust, and also to preclude the eruption of violence between opposing parties. As I see it, our goal should always be to present the peaceful alternative as a less costly and effective way of achieving political and social objectives. I also believe that in addition to other traditional tools of preventive diplomacy, democracy and good governance can be particularly important in building a just, equitable and inclusive society. By focusing on mediation as a tool for conflict prevention, we are able to address the real triggers of conflict, without which we cannot achieve sustainable solutions. However, for the world to move from a culture of response after conflict to that of a culture of prevention, the international community must muster the political will to promote preventive diplomacy, in particular through mediation. This will necessarily entail re-dedicating greater human and financial resources to institutions and mechanisms that already exist within and outside the UN system for conflict prevention and resolution. Going forward, I should like to propose the establishment, under the Secretary-General’s Office, a Conflict Mediation Commission, to be charged, among others, with the collation of information on conflict situations across the world, identify the dramatis personae and develop appropriate strategies for initiating resolution of such conflicts. The Commission will also develop rules of engagement, including sanctions which would apply to those who may obstruct efforts to resolve conflicts peacefully. Mr. President, this naturally brings me to the issue of trafficking in Small Arms and Light Weapons (SALW). Mr. President, if your idea of resolving conflicts through mediation is to succeed, then the problem of trafficking in small arms and light weapons must be frontally tackled. The proliferation of Small Arms and Light Weapons is particularly worrisome, due to their easy accessibility and availability to unauthorized persons and groups, who in turn have used these arms to create instability and insecurity in much of the countries in the developing world. Even worse, the proliferation of these weapons has proved handy in the hands of terrorists. This explains our commitment to, and preoccupation with, the actualization of an Arms Trade Treaty (ATT) that robustly addresses the illicit trade in Small Arms and Light Weapons which, as we all know, are among the major causes of destabilization and conflict in West Africa. The danger of proliferation of, and illicit trade in Small Arms and Light Weapons informed Nigeria’s decision to cosponsor Resolution 61/89 of 2006, the principal objective being to provide a legally binding international instrument for the trade in conventional arms. We will continue to support all initiatives towards the realization of an Arms Trade Treaty in 2012. I call on all Member States of the UN to join in this endeavour. The increasing rate of piracy and other maritime crimes, with their attendant damaging effects on security, trade and economic activities in the Gulf of Guinea and other locations call for coordinated regional and global approaches. In this respect, I like to express support for the proposal of the Secretary General to deploy a United Nations Assessment Mission to under-study the situation in the Gulf of Guinea and explore possible options for UN support and action. Our expectation is that a positive outcome from such a strategy will not only benefit our sub-region but the larger international community as well. I am already consulting with other Leaders in our sub-region to boost this initiative. Mr. President, gender equality and women empowerment strategy of the UN, especially through the creation of UN Women, deserve commendation and support. Nigeria’s support for UN Women, to which we have made substantial contributions, reflects our desire to harness the potentials of women in the task of nation building. Our national action plan on gender equality and women empowerment places strong emphasis on women’s effective participation in politics and adequate representation in public office. I am, indeed, proud to announce to this august Assembly that more than 30% of my Cabinet is made up of women. Let me also commend the Executive Board of UN Women on the successful take-off of the entity. UN Women can be assured of Nigeria’s strong support. Mr. President, this year, prevention of non-communicable diseases is one of the issues slated for discussion at our High Level Meeting (HLM). Only three months ago, I attended the High Level Meeting on AIDS, where I pledged Nigeria’s commitment to healthcare, as part of our country’s human capital development agenda. My Government is intensifying efforts to improve on national healthcare delivery by allocating substantial resources to primary healthcare. We look forward to a productive outcome of the High Level Meeting on non-communicable diseases at the end of this Session. In the same vein, I welcome discussions at the High Level Meeting on Desertification and Land degradation as they continue to pose challenges to our developmental efforts. This is why Nigeria strongly supports the UN Framework Convention on Climate Change (UNFCCC) and the Convention on Biological Diversity (CBD), including strategies and best practices to address this challenge. In order to demonstrate our commitment to human rights, Nigeria recently ratified the Convention on the Rights of Persons with Disabilities and acceded to four other international human rights instruments, including the optional protocol on the Convention against Torture and Migrant Workers. My Government has also passed into law the National Human Right Commission Amendment Act (2011), Legal Aid Council Amendment Act (2011) and Freedom of Information Act (2011). Nigeria will continue to accord the highest priority to human rights issues as they speak directly to the dignity and inalienable rights of humanity. 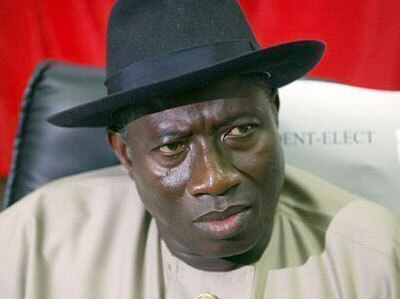 Mr. President, we in West Africa are passing through an exciting season of democratic rebirth. Before the end of year 2011, elections would have held in six countries in West Africa. These elections will set these countries along the path of political stability, progress, good governance and sustainable development, some of which benefits we have begun to experience. The progress we have made could not have been possible without the support of the United Nations. 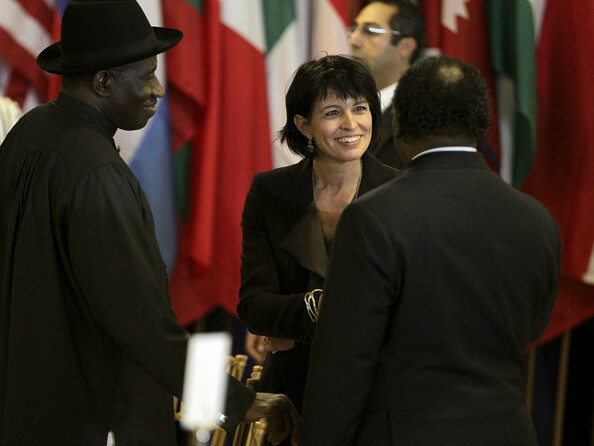 The resolution of the conflict in Cote d’Ivoire is a case in point. I consider the inauguration of President Ouatarra not just a success for Cote d’Ivoire but also for the international community, which spoke with one voice and acted in concert in support of the Ivorian people. The end of this crisis must be seen by all as the beginning of our journey towards the consolidation of the democratic culture and good governance in Africa. Having put this crisis behind us, the international community must now provide robust assistance to the country as it embarks on the tasks of post conflict reconstruction and national reconciliation. Mr. President, the struggle for self governance and majority rule in Africa started in the forties and by 1957, Ghana had gained independence. Today, all African States have achieved self determination and majority rule. These are no small achievements.But we still have much work to do. A great deal of the work that remains is to build viable and capable states in Africa on the principles of popular participation, rule of law and respect for human rights, as we pledged to do in the Constitutive Act of the African Union. Nigeria believes that these values must remain at the core of governance in Africa, if we are ever to achieve the goals of stability, security and development. As Nigeria is approaching the end of its tenure on the Security Council, I will like to express my country’s deep appreciation for the opportunity to serve in this important organ. In this course of our stewardship, the Council had the courage to reach many difficult decisions that resulted in positive development around the world. We are proud to be associated with these decisions. I would like to urge the Council to continue its important work in the maintenance of international peace and security. In spite of the Council’s many successes, it is our belief that this important organ will benefit from the vigour and fresh perspectives which only a revamped Council that accommodated changing global political realities can provide. Mr. President, I urge you to set up clear criteria for the reform of the UN Security Council in line with the demand of the majority of the World. A reformed UN Security Council is the only way to demonstrate that all nations have equal stake in the UN. Nigeria looks forward to the prospect of membership in a reformed UN Security Council. 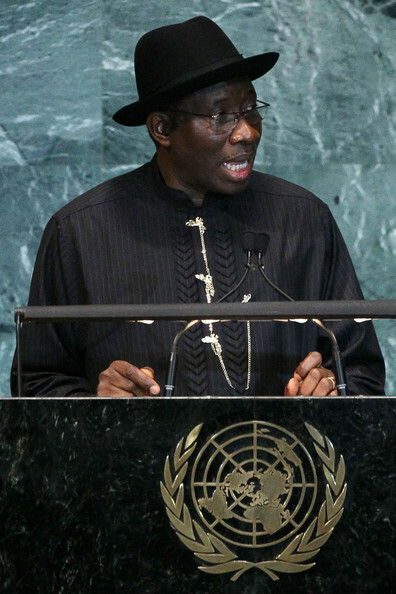 President Goodluck Ebele Jonathan and the Government of the Federal Republic of Nigeria utterly condemn the barbaric, senseless and cowardly attack on the United Nation’s Building in Abuja this morning. The President believes that the attack is a most despicable assault on the United Nations’ objectives of global peace and security, and the sanctity of human life to which Nigeria wholly subscribes. He extends his sincere condolences to the Secretary-General of the United Nations, Mr. Ban Ki-Moon and all members of the United Nations family who have lost loved ones in the heinous attack. 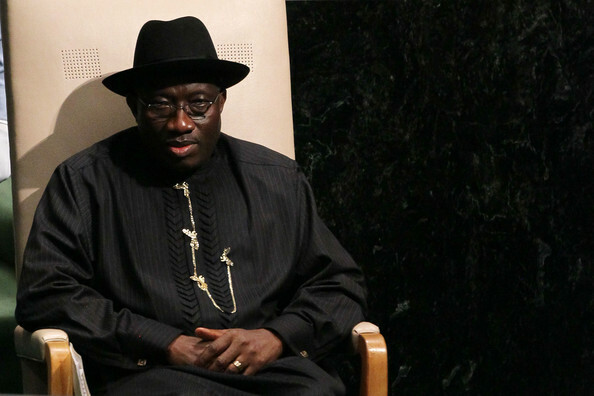 President Jonathan reaffirms the Federal Government’s total commitment to vigorously combat the incursion of all forms of terrorism into Nigeria, and wishes to reassure all Nigerians and the international community that his Administration will spare no effort to bring the perpetrators to justice. The President has also directed all relevant government agencies to assist in the search and rescue effort at the UN Building, and ordered heightened security across the Federal Capital Territory. 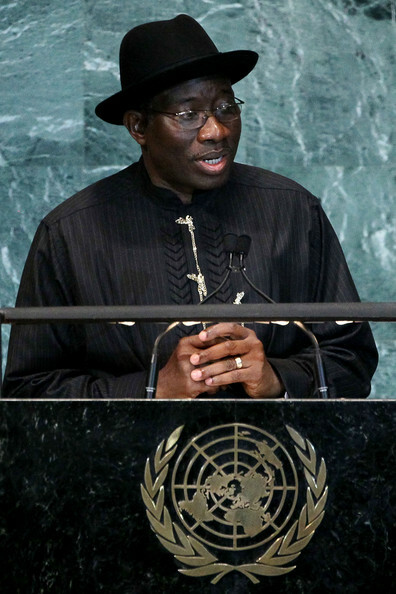 While noting that by today’s attack, we are once again reminded of the international character of terrorism and its indiscriminate targeting of innocent civilians, President Jonathan affirms Nigeria’s determination to continue to play its part in the global effort to eradicate the scourge of terrorism in all its ramifications. He urges all Nigerians and foreigners resident in the country to go about their normal affairs with the full assurance that the Federal Government and its law enforcement agencies will continue working diligently to ensure the full protection of lives and property in the country.